I have written about early Joe Pass earlier. His 1964s albums ("For Django" and "Joy Spring") have become icons of bebop guitar. And ... on these albums you will find some of the best recorded guitar sounds ever. Joe's sound on his 175on these albums is legendary and archetypal for the genre. Of course, Joe has recorded plenty of great albums but these two are my absolute favourites. The following tune you will find on his live album : "Joy Spring". Anoher super classic Joe Pass album. This album was recorded live in the same year, 1964. And here's the complete solo in midi with tabs. It was transcribed by another FB pal Scot Gormley. 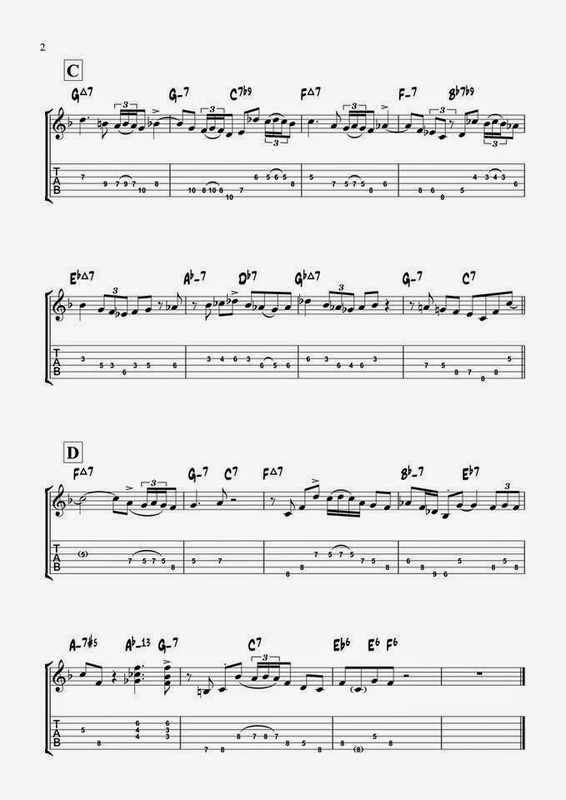 And here's a take a did on the tune years ago with the head as played by Joe Pass and transcribed by PM Brown above. The solo is mine. hi mr. dutchboper . i'm great fan of yours , and still wonder why dont you go profesional , making cd' , going places and so . 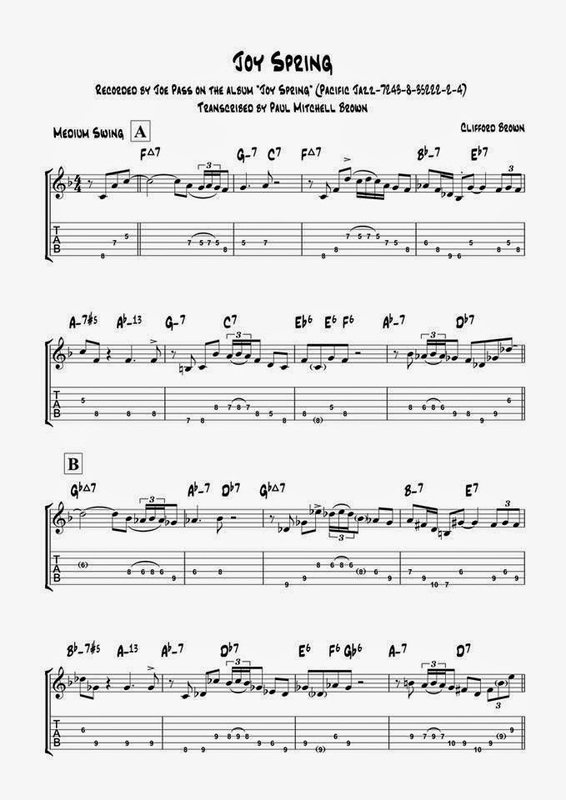 i have great request , can't find JIM HALL'S theme for TWO'S BLUES [ concerto album ]. only the theme , not the solo . can you pretty please help me.